Israel’s Prime Minister Benjamin Netanyahu on Sunday evening thanked Romanian Prime Minister Viorica Dăncilă who announced that her country will relocate its embassy in Israel to Jerusalem, and Honduran President Juan Hernandez who announced his country will upgrade its diplomatic presence in Jerusalem. “It only contributes to eliminating the two-state solution, the only way towards peace and stability in the whole region,” said Erekat in a tweet. He called upon the European Union to take action on this decision, which he stressed is a violation of Europe’s long-standing policy. “We are raising the matter with the Arab League and the Organization of Islamic Cooperation (OIC),” said Erekat. Hernandez stated that Honduras will “immediately” open a commercial and cooperation office in Jerusalem. This mission will be an extension of the Honduran embassy based in Tel Aviv. 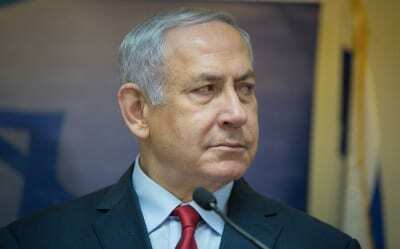 “I congratulate my friend, the Prime Minister of Romania, Viorica Dancila, on her announcement at AIPAC that she would act to complete the procedures needed to open the Romanian embassy in Jerusalem,” Netanyahu tweeted. “I thank my friend, the President of Honduras Juan Orlando, for his announcement regarding the immediate opening of a diplomatic mission in Jerusalem that will deal with trade, as a first step towards transferring the embassy of Honduras to Jerusalem,” Netanyahu said of the Honduran announcement. Hungary last week held a dedication ceremony for its new diplomatic trade mission in Jerusalem. The diplomatic trade mission will be a branch of the Hungarian Embassy in Tel Aviv.